Four movements (including the celebrated Passacaille) from Handel's Sonata Op. 5 No. 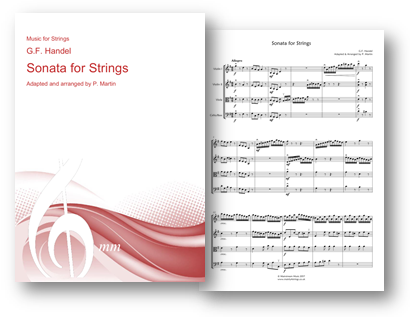 4 , adapted and arranged for string orchestra/quartet by Peter Martin. The PDF contains a part for violin III, doubling that of the viola. Click here to listen to a recording of the piece. Click on the image below to view and listen to the score on YouTube.